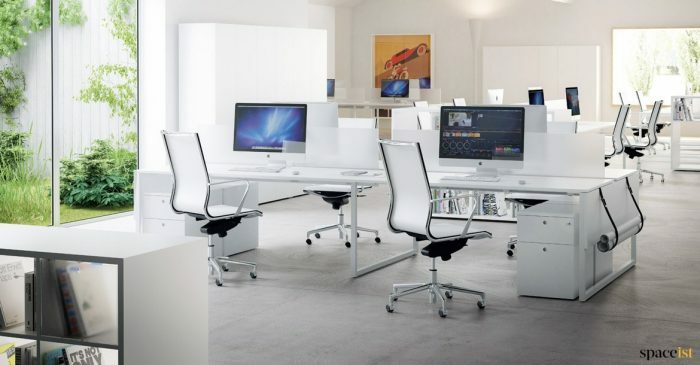 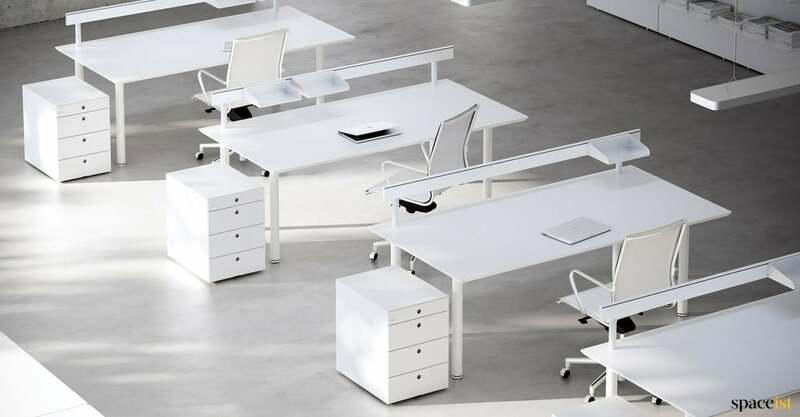 Categories: Office desks, White office desks. 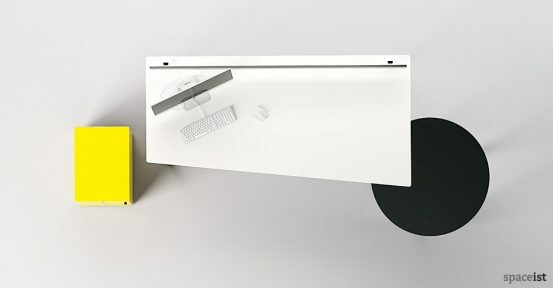 Newly restyled Meta office desk collection. 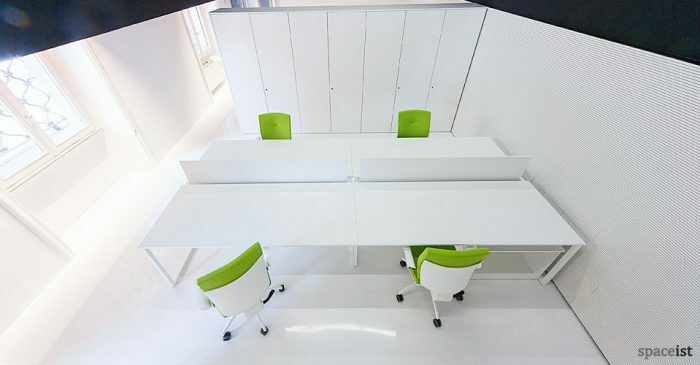 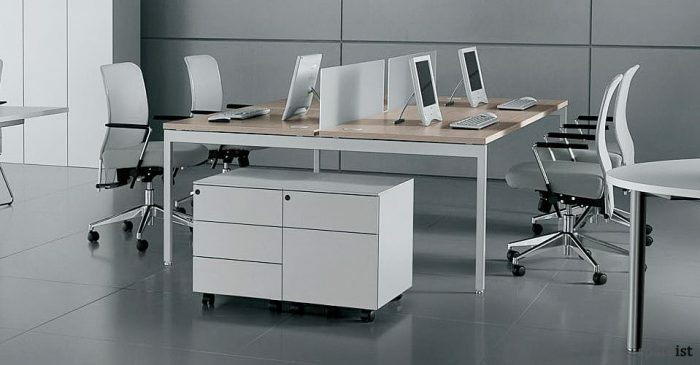 Simple and stylish minimal office desk combining squares and angles. 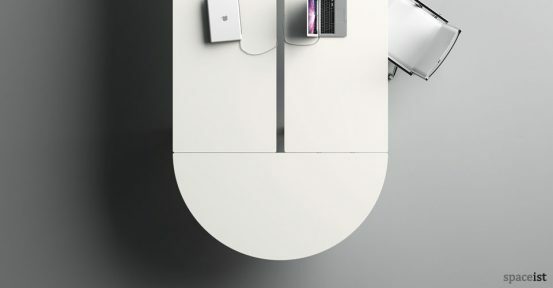 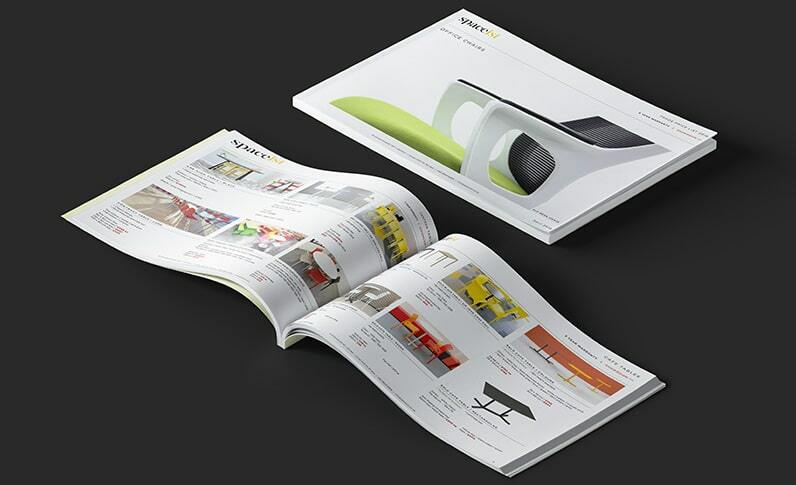 The desk top is made from a smooth satin melamine with a matching 45 degree edge. 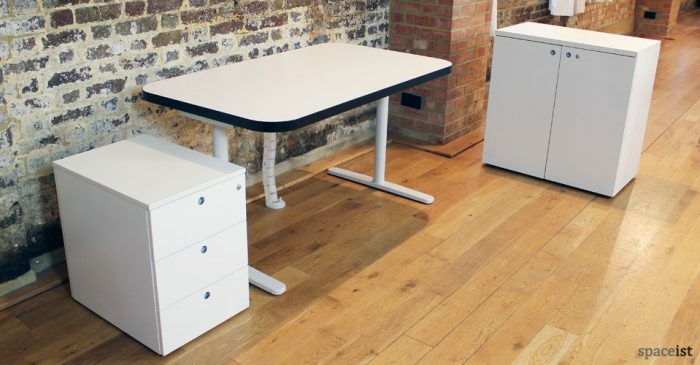 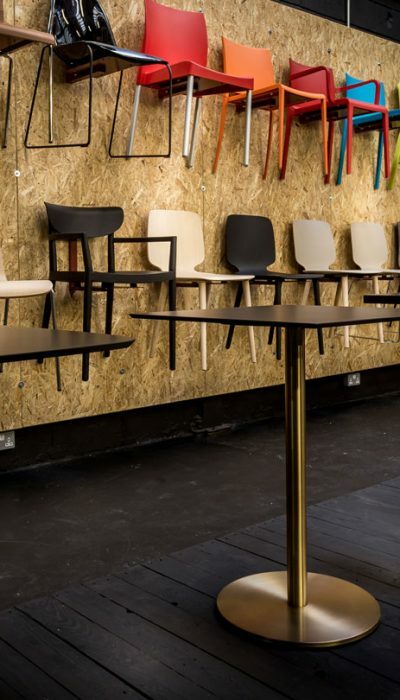 The steel tubular legs come in a white, silver or black powder coated finish. 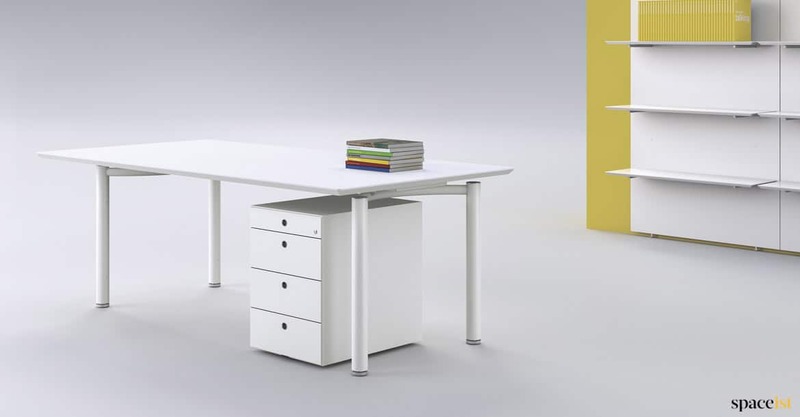 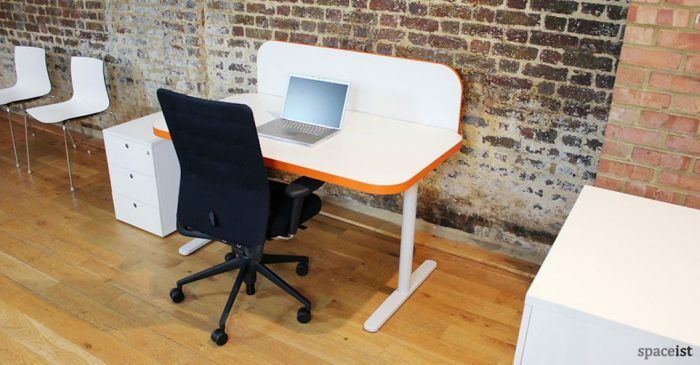 Desk sizes include 140 x 80, 160 x 80, 180 x 80 and 200 x 80cm. Special sizes are available, please contact for more information and prices. 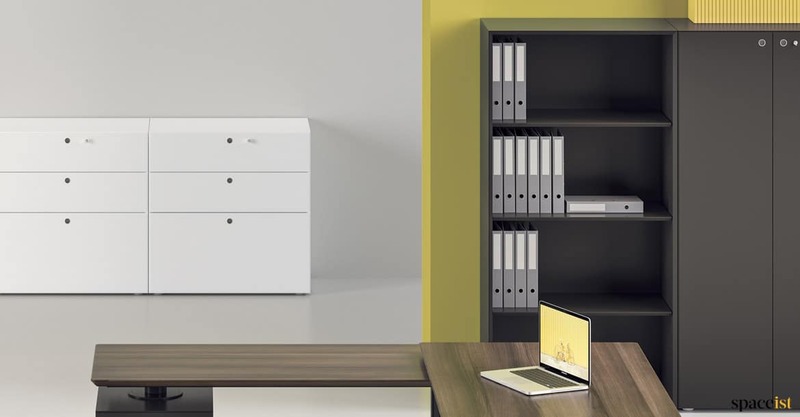 Matching office storage cabinets.